You’ve seen the timeless Christmas comedy, Elf, right? In the scene below, Zooey Deschanel’s character tells Buddy, played by Will Ferrell, that she can’t sing. Dismayed, Buddy starts talking louder and elongating his words (his version of “singing,” however bad) all to prove to Jodi that anyone can sing. Cut to now. Chances are, you’re reading this blog post because you want to learn how to make some low-barrier videos for your business. And if you’re thinking “I don’t know if I can actually do this … can I really make videos?” I want you to think of me as your very own Buddy, cheering you on from the sidelines. That’s me. I’m your video-making friend. 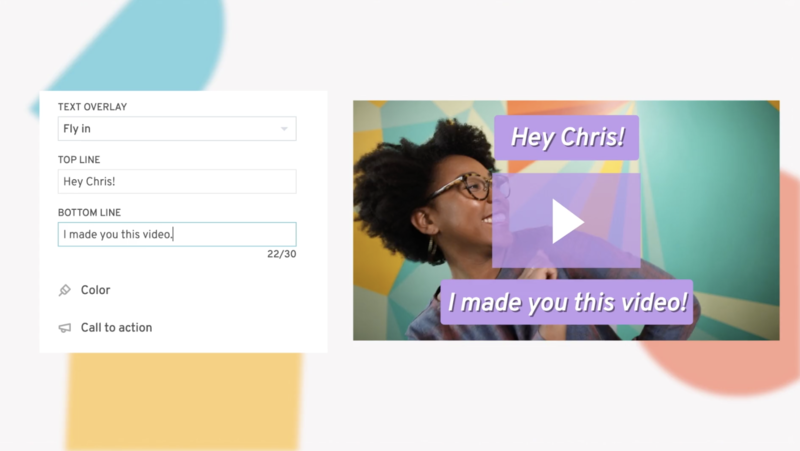 Communicating with video can be done on virtually any platform, but as the Social Media Coordinator here at Wistia, I figured I’d stick to what I know best — using video on social channels. By the end of this post, you’ll walk away with video ideas for Twitter, Instagram, Facebook, and LinkedIn. Let’s get started! Like most SaaS companies, we receive a fair amount of support-related questions on Twitter every day. And while some businesses take care of this by creating a dedicated profile specifically for support, we still field those questions through our “@wistia” handle. This is all good and well, but what would take this experience to the next level? You guessed it — video! Let’s face it, writing into a support center can be stress-inducing from the get-go. How do you know when your urgent question will be answered? Will anyone reply to me at all or am I just shouting into the void? These are all valid concerns, and that’s why we believe a friendly video can help calm those nerves while still sending the customer on the right track. I created this video with Soapbox, Wistia’s free webcam and screen recording tool, using one of our beloved Soapbox Stations, but really any webcam will do. All I did was provide a simple introduction and then some reassurance that help is on the way. Adding a face, a smile, and a wave to your video and tweet will reinforce the humanity of your team and provide a more delightful experience for your user. With Instagram Stories, the possibilities are endless. From produced tutorials, to live footage of a company outing, there’s nothing stopping you from making awesome content! What’s great about Instagram Stories, is that you can easily combine both curated and candid content in order to create an authentic look into what your business is all about. And I’m sure you’ve gathered this by now, but one of the biggest parts of what makes the Wistia culture so special is the people who work here. Every line of code written, customer answered, or illustration created, has a talented person behind it. So why not use Instagram Stories to showcase what makes us uniquely us? 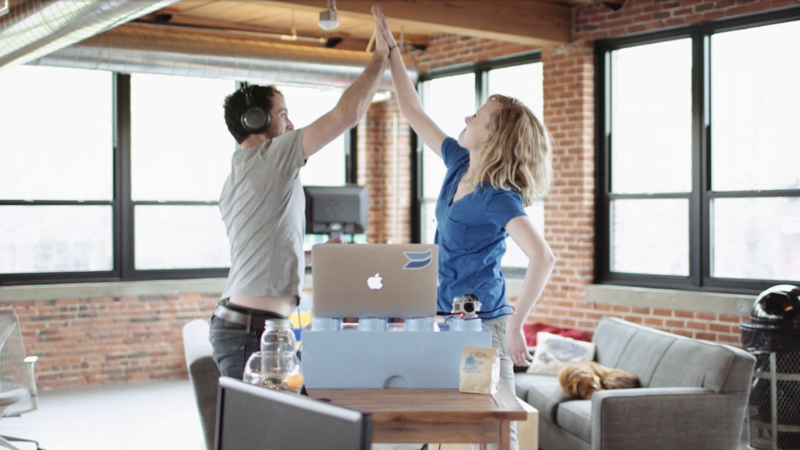 Here at Wistia, we host a bi-weekly, remote friendly, “Show and Tell” style meeting. This is a where we all get together to share work-related updates, give shout-outs for awesome work, promote company wide events — you name it. It’s a cornerstone of our culture that encourages transparency and gives everyone the opportunity to be represented, so I thought it would be cool to translate this into life outside of work. It’s exciting to think about how much there is to learn about your coworkers that you just haven’t uncovered yet. Does Fernando from Sales have a hidden talent? Wait. How many languages can Inga from People Ops speak? Chris from Creative broke his back?! What’s the story there? All of us have something unique about ourselves we can share, and learning what some of those are is both fun for your team, and entertaining and enlightening for your audience. We were inspired by our Show and Tell, but there’s something about every business (and the people that work there) that makes it truly special. Get your desk-neighbor to show you their favorite party trick or tell a funny story about their middle school years, and put it on the ’gram! On Instagram it’s all about showing the world what your team is all about. Raise your hand if you’re a fan of the eerily specific ads that clutter your Facebook feed — I bet I’m not the only one with my hand by my side. These days, Facebook newsfeeds can feel more overwhelming than fulfilling. And as a social media manager, it can often be frustrating that despite all the amazing blog posts you share, witty copy you craft, or followers you gain, it’s still hard to see the engagement you want with your posts. That’s where video can step in and save the day. Let’s be real — video on Facebook is so hot right now. Zuckerberg himself said that Facebook users watch an average of 100 million hours of video every day (wow). And, research shows that viewers retain 95% of a message when it’s presented with video, as opposed to a 10% retention rate when consuming text. So, you’re bought in on the power of sharing videos on Facebook but aren’t sure what to make. Here’s an example of a low-barrier video that anyone create and share on Facebook in minutes. One of the reasons this type of video is so easy to create, is because the script practically writes itself! All I did was give a summary about what this blog post is about (this very blog post … super meta) and why the viewer should click through and read more. Instead of making it easy for the viewer to scroll past my post of boring text and static imagery, I popped up for a minute, told people what they needed to know, and pointed them in the right direction in case they were intrigued and wanted to learn more. Unlike the other channels we covered above, we typically think of LinkedIn as a channel for business, not pleasure. But, that doesn’t mean you can’t have any fun with what you post! As a best practice, your updates here should be more strategically focused, as most people use LinkedIn for networking or professional development, but it’s easy to add some fun flair to your content when you share videos. Whether your audience hopes to make a new connection or learn skills that can help them grow, LinkedIn provides an awesome opportunity to help your audience learn more about the service or expertise your business provides. Take advantage of this with video! Watch this simple video below that I created with my coworker, Sunanda. 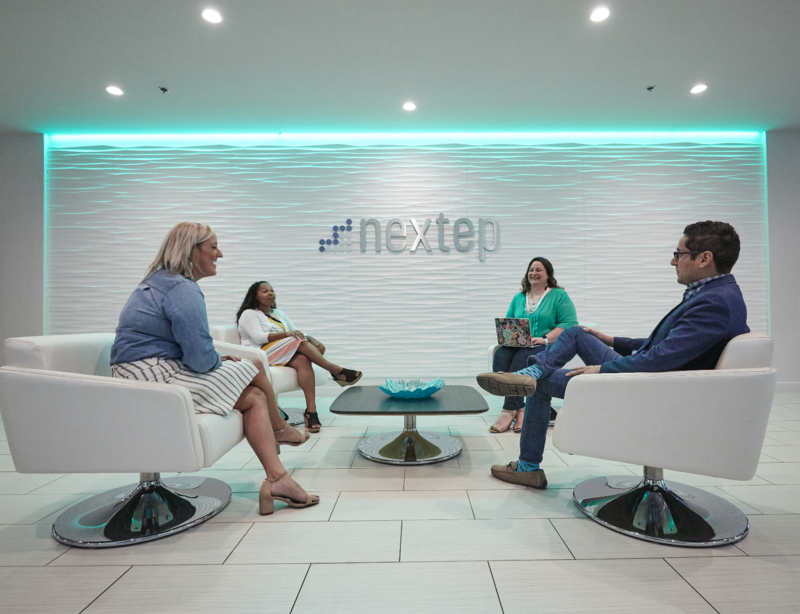 For some context, Video Marketing Week was a week-long online event we hosted this past May (maybe you even saw some of our promotional videos on LinkedIn, perhaps?!). 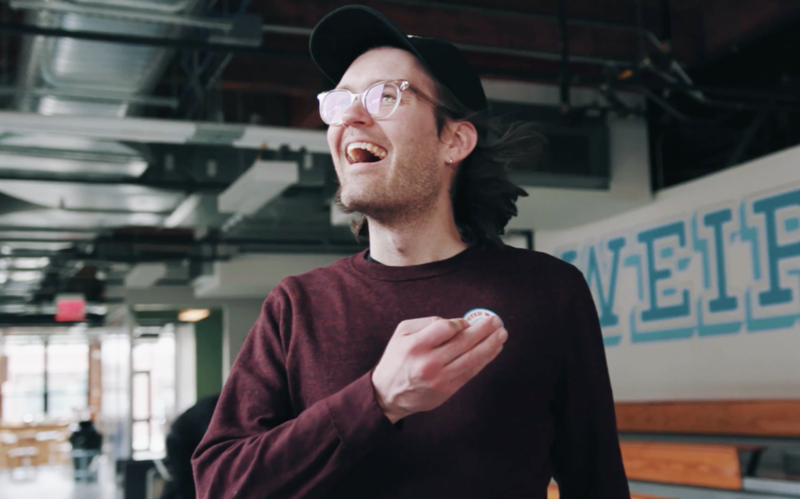 Everyone at Wistia was encouraged to create a video and share it as part of a “LinkedIn Takeover,” which was what we jokingly called this tactic around the office. The morning of the takeover, my coworker and I got together to make our video. We practiced our lines a few times and in a couple of takes were able to create a simple video that was energetic and informative. So … did our efforts pay off? You bet they did! A total of 24 Wistians shared videos on LinkedIn, bringing us 28,000 views and more importantly, 90 event sign ups tied directly to the push. This cost us nothing to do, and we saw such great participation because the effort and stakes were so low. Whether or not you decide to go full-on guerilla marketing with your next video, LinkedIn is a great place for experimentation with simple, but effective promotional videos. Try it out next time you have a company event to promote! There you have it, folks. 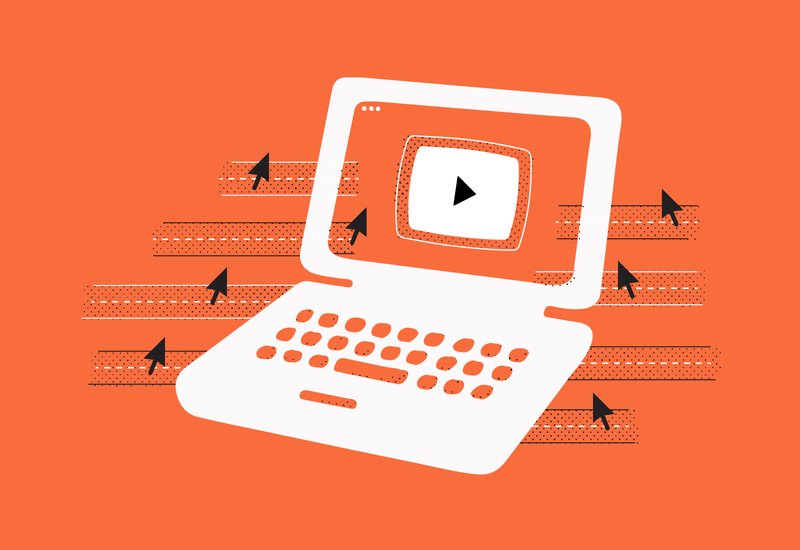 Four super simple videos that anyone at your company can create with minimal effort. Whether you’re a trained video-pro or a scrappy beginner, we all have what it takes to make videos for social media. All it takes is a dash of creativity, a few minutes of your time, and a camera. And if you ever have doubts about whether or not you can get started with video, just remember you’ve got a Buddy in Cambridge, MA rooting you on.